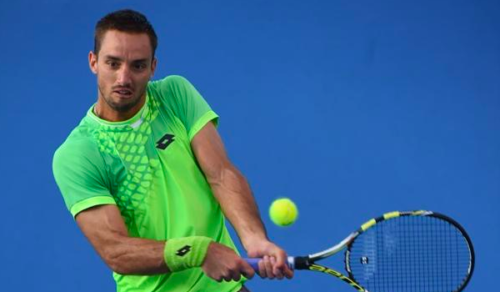 Viktor Troicki’s nightmare season continued as he suffered his fourth consecutive defeat on Thursday. The Serbian, once ranked as high as No. 12 in the world, hasn’t won a competitive match since February 14. He failed to break the jinx at the Miami Open on Friday as he lost 6-3 6-7 7-6 in a closely-fought opener against Canadian rising star Denis Shapovalov. The frustration of falling to 4-8 this season was evident as he broke his racket apart midway during the contest, banging it hard on his left knee before cracking it on a second attempt over his right knee. As for Shapovalov, he advanced to the second round to meet Damir Dzumhur, who overcame Nicolas Kicker 4-6 6-2 6-1 in their opener. This was not the only controversy of the day as Daniil Medvedev and Stefanos Tsitsipas clashed during their match on Friday.